Ghost Rider is best known as a Marvel “gimmick” character with a remarkable amount of staying power. This is largely due to his iconic look. I mean, who can deny that a dude with a flaming skull for a head, clad in leather and sitting atop a motorcycle looks pretty freaking cool? While that may be the most recognizable design for the character, that is by no means his only look. Nor was it his first. This profile will examine the history and characters who have taken the mantle of Ghost Rider and how each of those individuals has been adapted in popular media. To start, we’ll look at the first incarnation of the character, before any supernatural elements were folded into his backstory. The 90’s was a weird period for Marvel. Between the chromium covers and bankruptcies, the company had found success in animated series, namely with X-Men and Spider-Man. They attempted to spin that momentum into live-action properties in 1996 with a made-for-TV movie/pilot for a Generation X TV series. 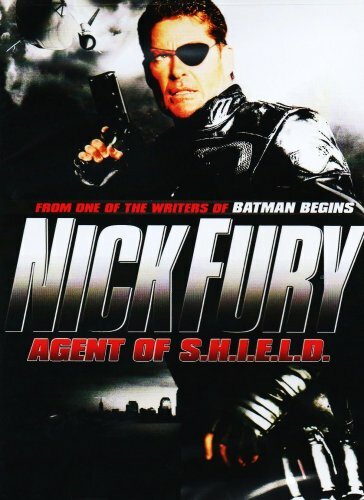 That show wasn’t picked up, but in 1998, they gave it another try with an adaptation of their long-running super-spy, Nick Fury: Agent of SHIELD. The 2014/15 television season has become well known as the season of the comic book television series. While we used to be content with the occasional Smallville or Birds of Prey (ok, no one was content with Birds of Prey), it’s now possible to watch comic book programming 5 nights a week (or more thanks to DVR). While most of these shows have been ratings successes, I’ve been looking at them on my own scale of general artistry and adaptation. To me, not all of them have been stellar, but it’s certainly been interesting to watch them grow, regardless. Guest Writer Extraordinaire Brian Baer provided this look at a Marvel character who has had a whopping zeroo appearances in expanded media. Where’s the Kung Fu love, Marvel? Writing about Marvel, especially characters who haven’t been adapted yet, isn’t easy. Pre-Iron Man, movies and other media based on Marvel’s characters were as hit-or-miss as DC’s. Since then it’s become a different story. Not only are audiences being treated to high quality films, the Cinematic Universe’s scope is almost too comprehensive to allow Monday Morning Quarterbacking. But this is the internet, after all. So, I’ll give it a shot.